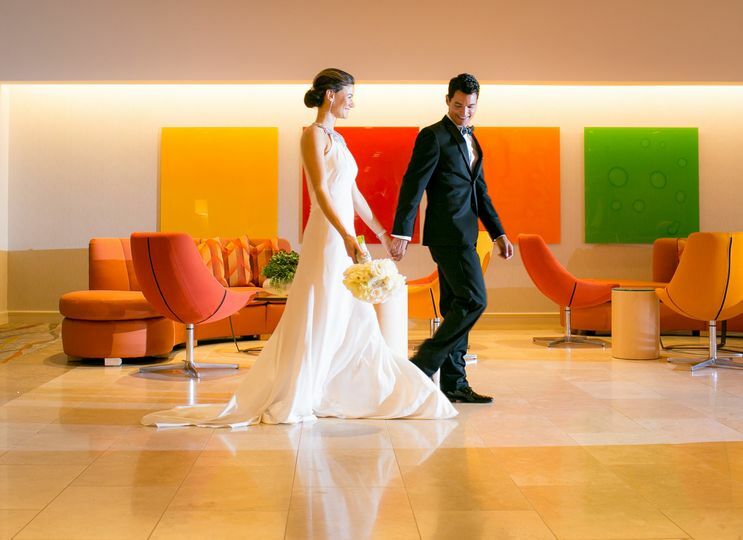 Hotel Irvine is a banquet hall within a hotel for couples' weddings in the Orange County, California area. This coastal hotel has a tropical outdoor lawn space and bright modern indoor rooms. 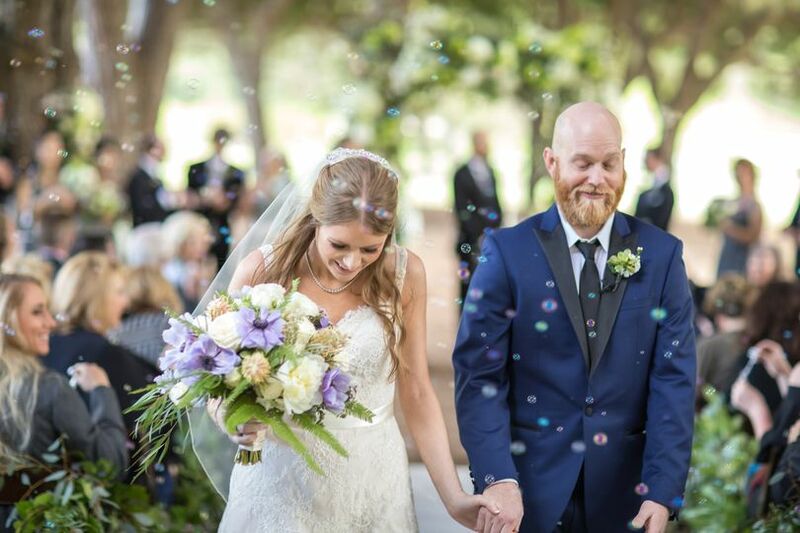 Couples can drive just four minutes from the John Wayne Airport to reach this wedding venue. 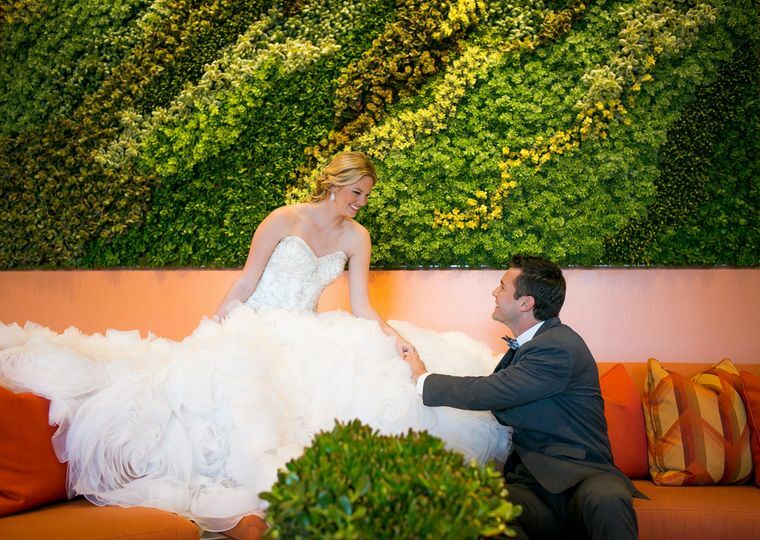 This hotel has a maximum capacity of 1,000 guests for a couple's big day. 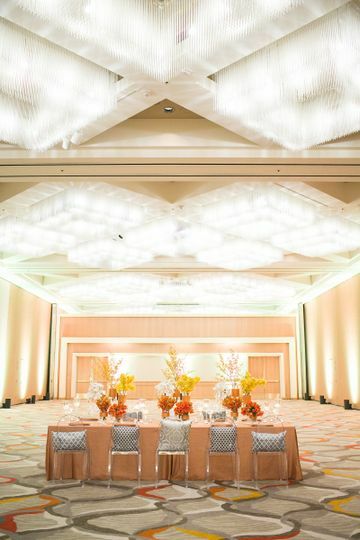 The Grand Ballroom is the largest of the indoor event spaces at Hotel Irvine. Stage lights are artistically incorporated into the 18-foot-high ceilings. 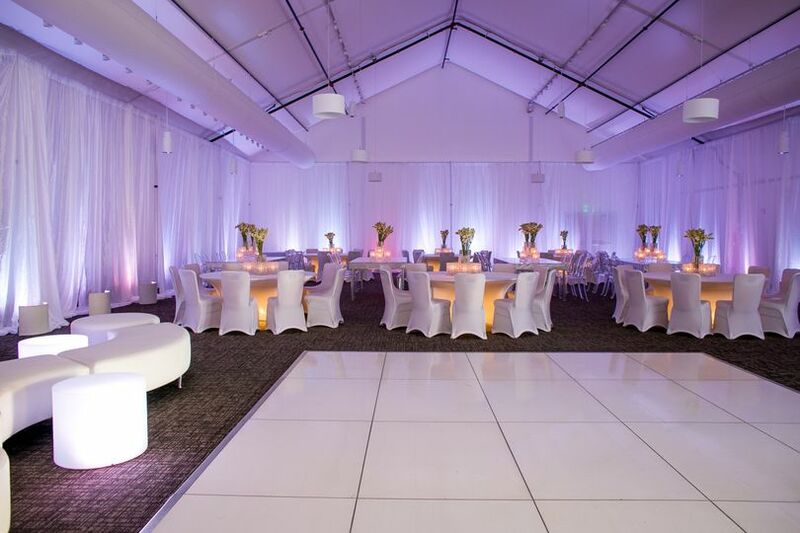 The space is grand and open with plenty of space for that long guest list and a dance floor. The Pavilion, a completely enclosed tented space, is climate-controlled and soundproof from the inside out. 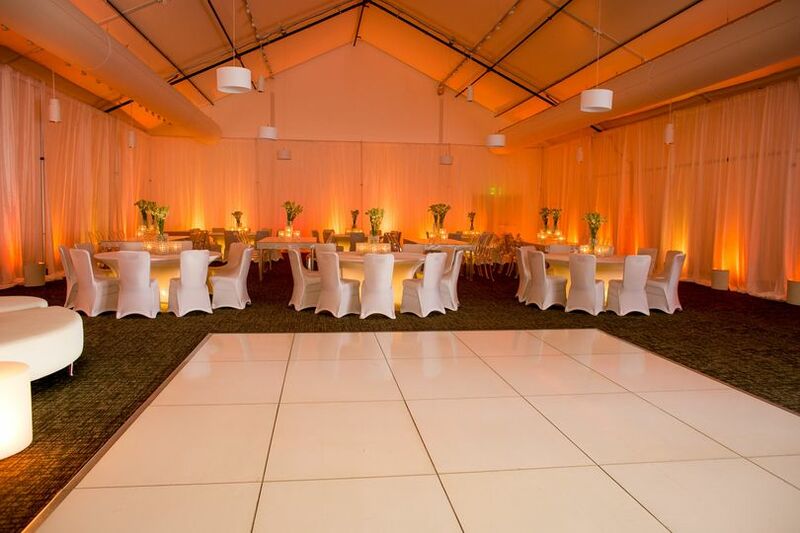 Saddleback and Trabuco are identical rooms for intimate celebrations at the hotel. These rooms feature floor-to-ceiling windows looking out onto sunny terraces surrounded by greenery and plant life. They can be broken down into smaller spaces with varying functions, or used in full with the attached terrace area. The Backyard is a large beautiful lawn space under the blue California sky. The space can be used for ceremonies during the day or at sunset with the orange western sky directly behind couples as they share their first married kiss. A special thank you to our party coordinator Ebrahim Irajpanah. We had our engagement party in the Terrace Court with about 50 guests. The details were flawless. Everything from the food, decor, and atmosphere were amazing. We had nothing but compliments from all of our guests. The event turned out so well we have decided to have our wedding at the hotel next July. If our engagement event was this impressive, I can only imagine how lovely our wedding will be, thanks Ebrahim!! I would highly recommend using him for any event planning. The staff there, especially Sidney, the audio visual specialist, were also very professional , attentive , and detail-orientated. Which is everything we could have asked for and more. 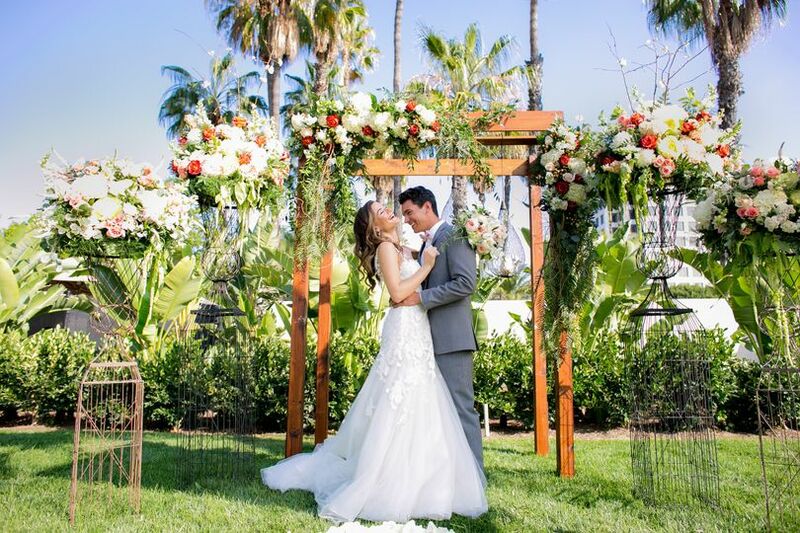 In August 2018 we were very fortunate to work with Ebi @ Hotel Irvine for our wedding weekend. Ebi and his staff are very personable and truly care about guest satisfaction. 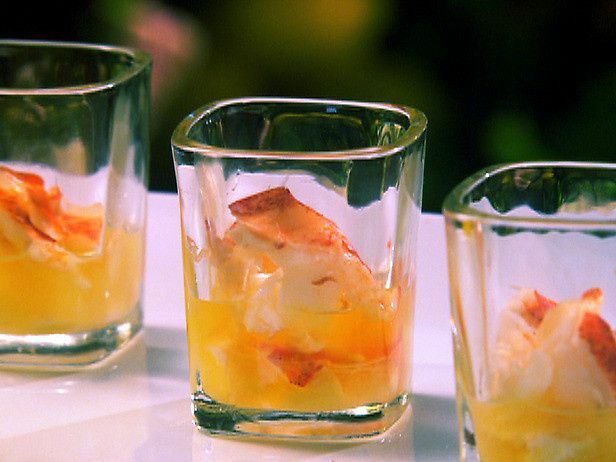 Having been in the hospitality industry previously, I noticed Ebi attention to the smallest details. Further he remembered very specific details that my bride and I requested in our initial meeting, and they came to life during our magical weekend. I particularly remember on our wedding day Ebi ensured our event went off without a hitch on every detail. Ebi ensured the family was treated like royalty and guest experience was first class. 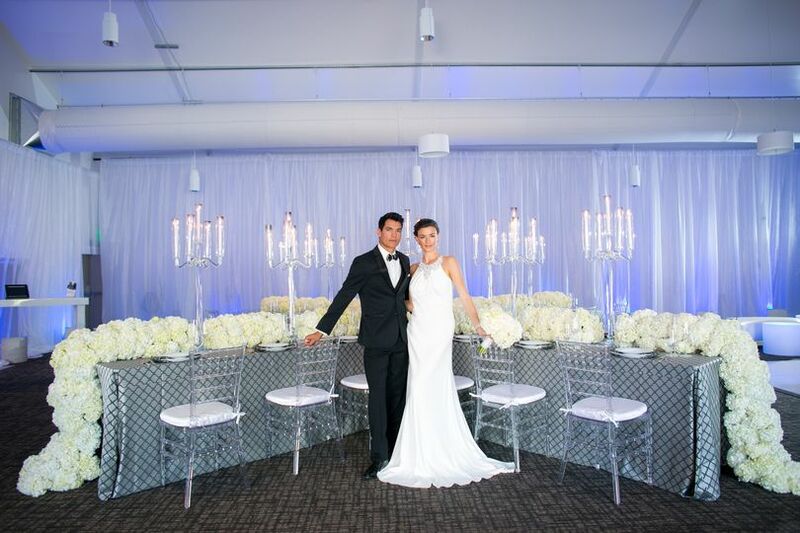 I would highly recommend working with Ebi on your wedding and events. 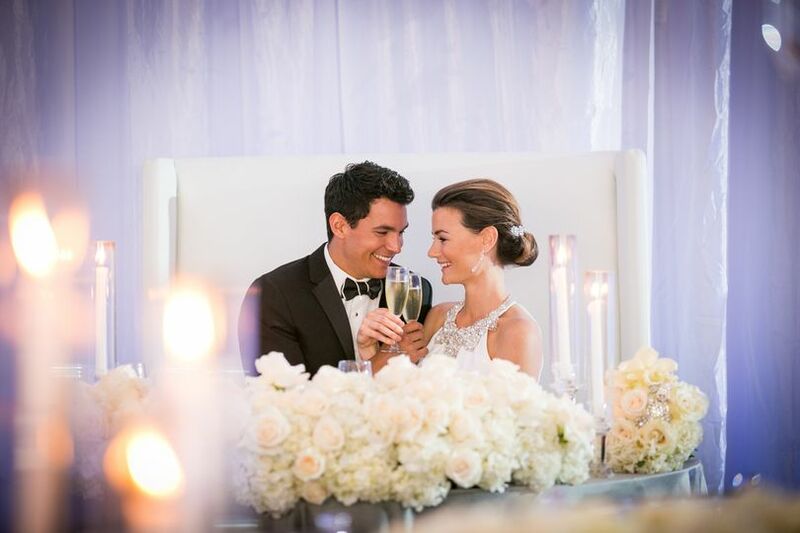 After our wedding several friends and family held events ranging from holiday parties to birthdays and weddings and all raved about the level of service Ebi and his team provide. We have filmed some beautiful and extremely classy events here and the staff is incredible. 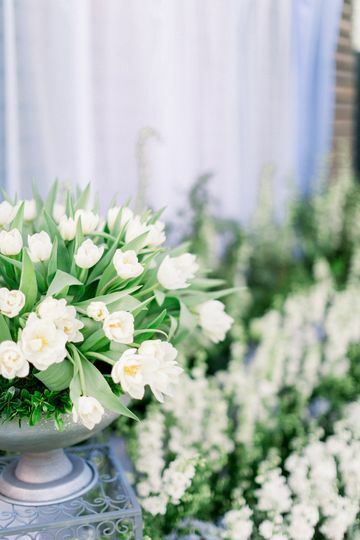 Give them a try for your next event or for a dreamy wedding! What a delight to work with!! Angie Florence and her staff at Hotel Irvine were friendly, professional, accommodating, and easy to work with. Angie was kind enough to give me a tour of the hotel a couple of weeks before the wedding and answer all of my questions. This allowed our set-up on the day of the wedding to run very smoothly. If you&apos;re a bride, the cooperation and professionalism between vendors will add to a stress free day for you. You will definitely experience this at Hotel Irvine.